I love this outfit! Great translation from the picture. Wow, I love her artwork! Almost looks like the illustrations for a beloved children's book =) great find! Love love love these picks! Ooooh amazingggg! The LBD with funky accessories is always fail-safe, and you picked some fabulous ones! I think that necklace was inspired by the painting! It works perfectly! 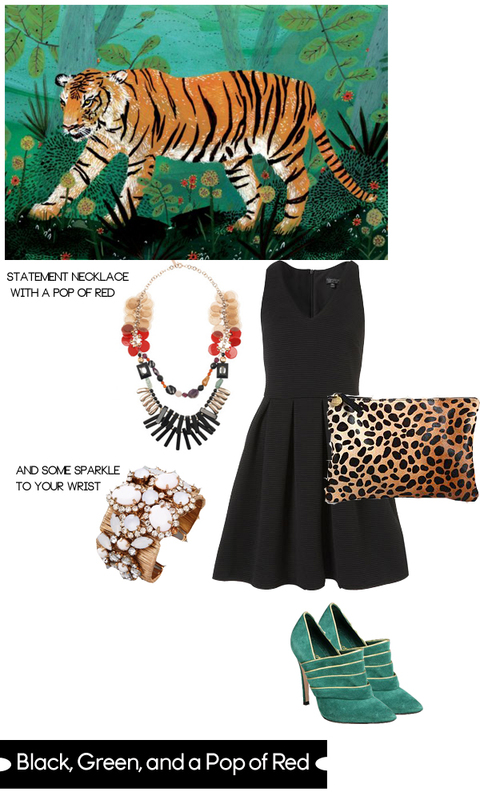 The leopard clutch + green shoes are a great combo! absolutely love this - those shoes are insane! Lord have mercy! I need the dress and the shoes. Be still my heart. The perfect lbd, and that clutch is stunning!